As hard as it may be to imagine, given today’s rock bottom oil prices and abundant supplies, the world may still struggle to bring enough oil online over the next few decades to meet long-term demand. Global economic growth over the next several decades is predicated on continued growth in oil supplies. But meeting long-term supply needs will hinge heavily on one country in particular – Iraq. 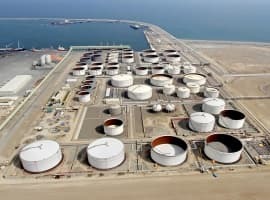 Just two years ago, the International Energy Agency (IEA) predicted that Iraq would be able to double its oil production by the end of the decade, raising output to 6.1 million barrels per day. Even more compelling is the fact that the IEA also believes that Iraq will make up an inordinate share of global supply growth over the long term – more than U.S. shale, more than other OPEC members. But that looks increasingly unlikely for two major reasons. First is the onslaught from ISIS, which has torn the country apart. The militant group’s advance has been halted and is slowly being rolled back, but nevertheless, the presence of violence and the lack of security are already deterring investment in new production. The other factor holding back Iraq’s oil potential is lower prices, an unexpected trend that is draining cash from Iraqi government coffers. As a result, Iraq’s government approved a trimmed down 2015 budget in late December, opting to spend 123 trillion dinars (US$103 billion), down from an original level of 141 trillion dinars. The spending cuts could hurt investment in new oil projects. In fact, the Iraqi government is already coming to the realization that its original estimates for oil production increases over the next five years may have been too ambitious. With the threat of ISIS, the Iraqi government will need to divert more money to security. But the fall in oil prices is shrinking the pie of resources. Taken together, they amount to a double whammy for Iraq’s oil prospects. “It may be necessary to revisit our ambitious plans for the next five years,” Iraq’s Deputy Prime Minister Rowsch Shaways said at a London conference on December 17, according to Bloomberg. While the IEA had predicted Iraq would succeed in increasing output to over 6 million bpd by 2020, the Iraqi government had been much more bullish. A June estimate from the government pegged Iraq’s output at 8.4 million bpd by 2018. That number was overly optimistic to begin with, but it is now looking increasingly out of reach. One thing that Iraq has going for it is the thaw in relations between the central government in Baghdad and the semiautonomous region of Kurdistan. While the Kurdish Regional Government made several bold moves in the summer of 2014, signaling a push towards independence, it has since dialed back its ambitions and has repaired relations with Baghdad. 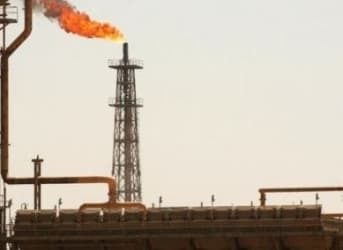 A major deal in early December could pave the way for Kurdistan to increase output to 1 million bpd by the end of 2015, up from 400,000 bpd currently. But living up to the heady projections for oil growth will be extraordinarily difficult. 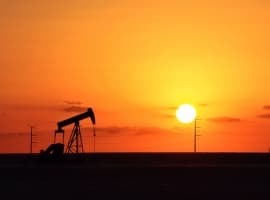 The IEA predicts that the U.S. shale revolution will begin to peter out over the next decade, putting the onus back on the Middle East to meet global demand. 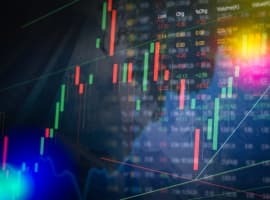 With hopes pinned on Iraq to bring substantial new production online – a development that may not come to pass – the world is setting itself up for a major supply crunch at some point in the future. In the US we can replace oil in much of the transportation sector with natural gas and electricity from natural gas. Also Mexico will be able to export more oil due to cheap USA natural gas. Oil is just not a big concern going forward due to huge US natural gas reserves, falling battery costs, and wind and solar energy advances.